Padraig Henry is a final year Communications student. He is hoping to reduce the financial burden for students by working with both the library and Campus Residences, as well bringing in regular voluntary guest speakers to offer support with regards topics like mental health. The main itch that made Henry run is the prospect of being a counsellor-like figure for people and making a positive impact in people’s lives through trust and likeability. “The reason I ran in the first place is because I love playing an advisory role and I love people coming to me for advice,” He said, “I’d like to think I am approachable, but I’d like to think I am approachable through all ways on campus. 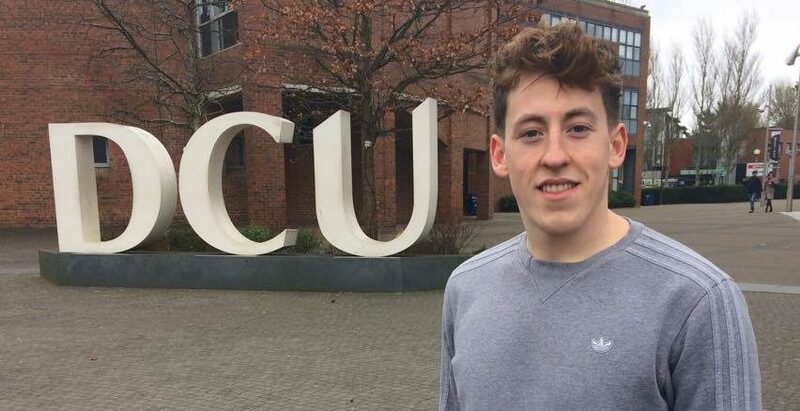 Henry is taking a leaf out of this year’s officer Cody Byrne’s book, by expanding his accommodation Facebook page for DCU students studying abroad. Staying local, Henry knows that money is always tight for students and he wants to ease that pressure by trying to relieve some fines in a reasonable manner. Henry said: “I want to improve on accommodation with Campus Residences, I feel that might have to be tackled as well and I want to tackle library fees which has been repeatedly brought up to me as well. Along with this, Henry hopes to introduce guest talks on a much more voluntary and regular basis to keep the support systems flowing more regularly, instead of focusing on specific weeks. He appreciates working with the Engagement and Development Officer will be as vital as ever in order to achieve this goal. Henry is a pro-choicer but understands there are numerous conflicting views among the student body and will act for the entire representation, despite the chance that some viewpoints may go against his beliefs. “If you take from the President of UCD, she is pro-life but she did explain that she is representative of all students which I thought was very well-handled. I can’t use this job to voice my own opinions, it’s what the students want,” he said. Henry said he knows the importance of the integration of campuses but admitted that he did not have many points on his manifesto, due to the fact that he isn’t familiar with the campus and its intricacies. He said, “I think with a lot of issues with St Pats will involve them coming to me next year and be like, ‘Look, this is what is wrong,’ and then I can help them since I know what the situation is, but it is also about being on their campus as regularly as I can.